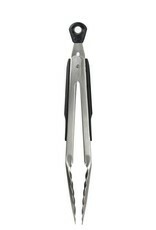 The OXO Good Grips 9” Tongs feature brushed stainless steel with soft, non-slip handles and comfortable thumb rests. 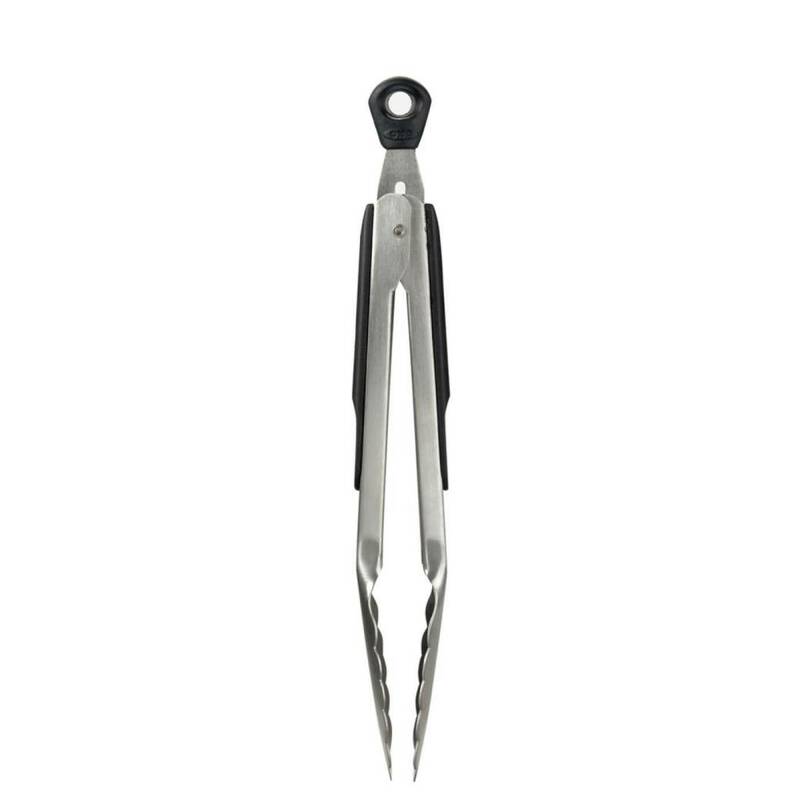 Easily lock these Tongs in the closed position for convenient storage. 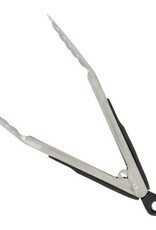 The lock consists of a large pull-tab that doubles as a hole for hanging. 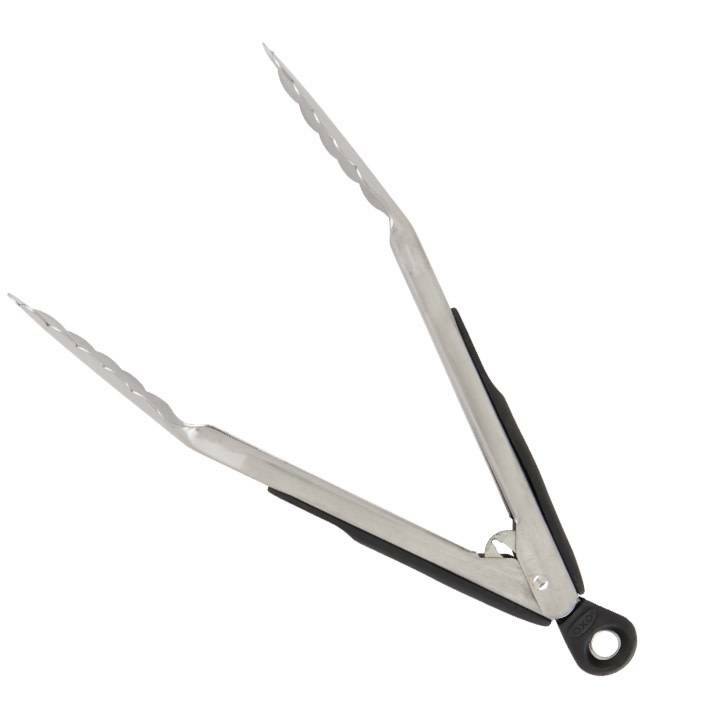 Our Good Grips Tongs are also available in 12-inch and 16-inch sizes.